Welcome to KERN's translation office in Wiesbaden! Wiesbaden is the regional capital of Hesse and has around 280,000 inhabitants, making it the second largest city in the state. The spa town is one of the oldest health resorts in Europe, and almost 15 thermal and mineral springs provide ample opportunities to unwind. Wiesbaden's spas contribute to the high quality of life found there. In addition, the region functions as a vibrant service centre with a focus on sustainable industry. To cater for demands, the city is home to a broad range of sectors that include the processing, high-tech and IT industries, as well as a multitude of service providers that decisively shape the city's reputation as a significant service location. 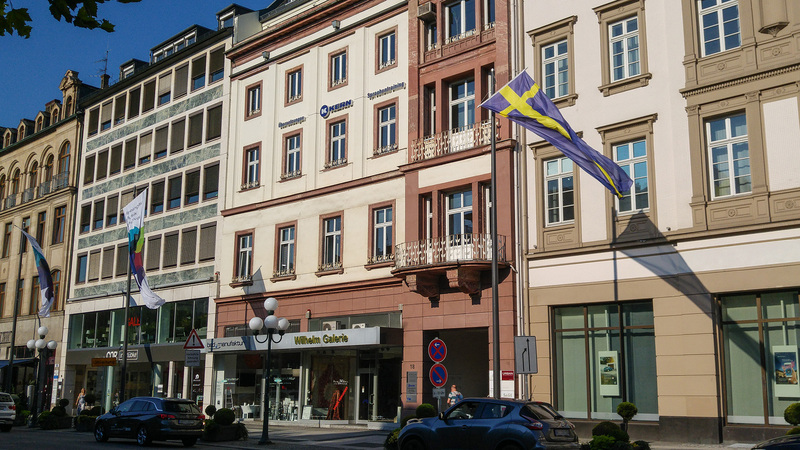 Alongside well-known major companies, a large number of small and medium-sized businesses are also located in Wiesbaden. From the railway station using bus lines 1, 4, 8, 14, 16 and 27. From the motorway (A66, 643, 671), head in the direction of Wiesbaden Innenstadt/Bahnhof (city centre/railway station). From the railway station, turn right onto Bahnhofstraße and then turn right onto Friedrichstraße. Here, you can use the car park at the market, for example. Other car parks: KARSTADT car park at Kirchgasse 35. The walk from there is approx. 10 minutes. Or the theatre car park at Paulinenstraße 18. The walk from there is approx. 5 minutes.